Elizabeth Esther’s new memoir, Girl at the End of the World, opens with the words, “I am ready to die for Jesus. I am nine years old.” I immediately realize that this is no ordinary memoir, and no ordinary childhood. Esther grew up as part of The Assembly, a Christian fundamentalist group founded by her grandfather, George Geftakys, in the 1970s. Esther calls The Assembly a cult, writing, “Cults aren’t so much about beliefs as they are about methods and behavior. According to cult researchers, it is the emotional seizing of people’s trust, thoughts, and choices that identifies a cult. The Assembly wins on all counts.” The Assembly is Esther’s whole life, and that life is not an easy one. Esther uses the practices of The Assembly to paint a picture of a turbulent childhood. She writes about The Assembly’s focus on “End of the World” theology, and how her family’s preparation for the Rapture led to chronic stomach pain and anxiety. 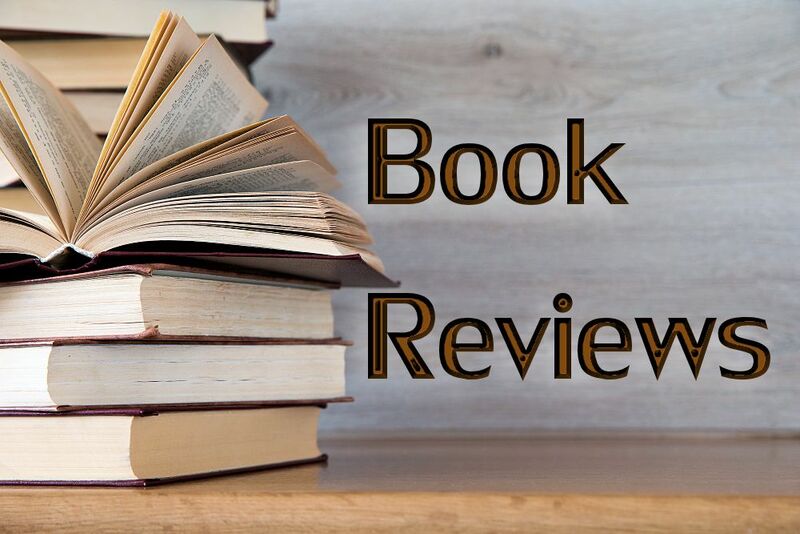 Living with the constant threat of an apocalypse, Esther’s quality of life deteriorates, and the reader is helpless to do anything but observe the descent. She is so terrified to be “left behind” that she panics when she finds herself alone in an empty house. Corporal punishment also played a significant role in Esther’s childhood, with daily multiple spankings. Esther’s own grandmother taught Assembly parents “child-training” techniques that involved spankings beginning in infancy until “the will is broken.” I was unfamiliar with such techniques and their proponents, like Michael and Debi Pearl, before I read Girl at the End of the World. Now I will never forget them. As I read about Esther’s bruises after a spanking session, and her words, “My parents hurt me because they love me,” I grieved for her and for every other child who has suffered that kind of abuse in the name of God. 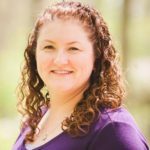 Esther’s teenage years were no less challenging, as she tried to balance her growing interest in writing, sports, and boys with the expectations of The Assembly and its rules, chores, and restrictions. She writes as if she was in a perpetual game of tug-of-war with herself, wanting her own life and her own dreams while also wanting God and The Assembly to be pleased with her. Esther’s situation begins to change when she marries Matt, a fellow member of The Assembly, and gives birth to her first child. At the same time, accusations of sexual misconduct aimed at Esther’s grandfather come to light, and Esther has to make a choice: continue being part of The Assembly or leave it all behind. Esther’s decision to leave brings on an entirely new challenge, one she calls “religious PTSD.” She suffers panic attacks and has difficulty finding a new community; even the excitement of watching television is overwhelming. Esther slowly begins to create a net of support for herself, including therapy, but a new religious practice eludes her. She writes of the Bibles and religious books filling her bookshelves, all written by men, “making me break out in hives,” and makes a profound revelation: “I am fed up with reading about God through the male perspective only. I want to experience the God who inspired me as a child, the God who found me long before I could comprehend a single word in my Bible.” Esther is eventually drawn to the Catholic church, and specifically the story of Mary, as she creates a life that is singularly her own. 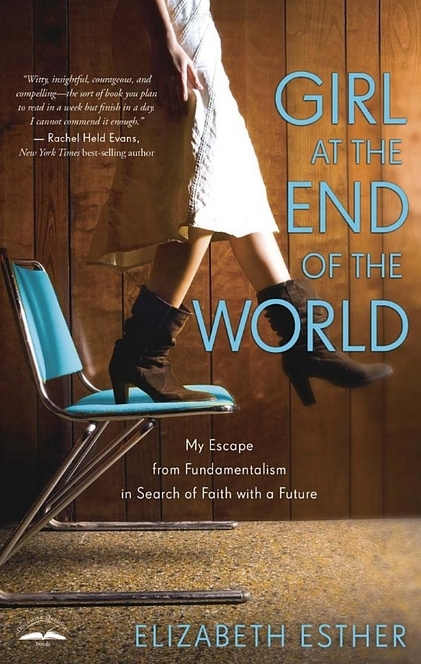 It would be easy for me to write off Girl at the End of the World as just another example of the obvious problems surrounding Christian fundamentalism. But to do so is to minimize the significance of Esther’s book, her experience, and her life, as well as the lives of the many people who have responded to Esther’s writing with stories of their own experiences growing up in a similar environment. This is clearly a story that needs to be told, to be shared and recognized, so things may begin to change. Esther makes it clear why so many people living under these conditions don’t leave: it’s all she knew. Her entire history was founded in this one way of life, a way that thrives on secrecy. Elizabeth Esther has brought her secrets into the light for all to see, for all those who still suffer in silence. Girl at the End of the World is risky, but it’s a risk worth taking.